Take all purpose flour in big bowl. Add salt and mix well. Now add clarified butter in flour and mix them well. Knead this dry flour for 5-6 minutes with butter. Now start adding water in very little quantity. The dough of samosa is supposed to be little harder. Next cover the dough and let it rest for 10 minutes. Add coriander seeds and cumin seed sauté add green chili and grated ginger. Add red chili powder and mashed potatoes with green peas. Sauté this for 1-2 minutes. Now add salt and rest of ingredients. Mix them well. Take this filling out in a bowl and let it cool for few minutes. Preheat air fryer at 200 degree celsius for 15 minutes. Now take dough and smooth it by kneading few more minutes. Make 8 equal balls from the dough. Roll the balls nicely in your palms. Now take 1 ball and cover rest of the balls in a bowl. Roll this ball in a circle of 8 inch diameter and roll little more on the edges. Give a uniform thickness on the edges. Now cut this chapatti into half and apply water on the straight edge and make a cone shape. Seal the straight edge by pressing with fingers. Now put 1 ½ tsp of filling in samosa press filling inside lightly with your hands. Now apply little water on open side of the edges. Join and seal these edges by pressing with your fingers. 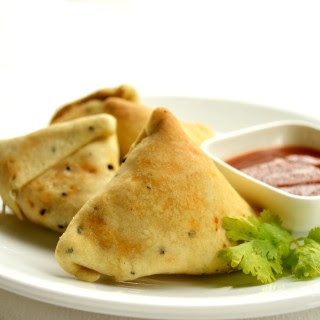 Now you can put this samosa in air fryer (200 degree celsius) for 20-30 minutes. Serve with coriander and/ or imli chutney. If you want to make rest of the samosas later you can store these samosa in covered bowl in refrigerator just coat them well with oil while storing. The health benefits of Aloe Vera juice have long been known. Drinking two to four ounces a day is all that is required to gain the many benefits of Aloe Vera juice. An expert view on Aloe Vera drink. If you drink it daily, Aloe Vera can aid your digestion, improve your circulation and detoxify your body and cleanse your colon. One of the most valuable health benefits for today’s society is Aloe Vera's ability to assist weight loss. Aloe Vera works to both reduce and stabilize the body mass index by stimulating the metabolic rate in our liver cells so that we burn more energy. The energy used for this comes from fat and carbohydrate stores in the body. Drinking Aloe Vera juice every day has been likened to doing multiple workouts throughout the week. Another reason why Aloe Vera works well as a weight loss supplement, is because it has a high content of collagen protein. When you drink Aloe Vera juice every day, the body has to spend additional energy to assimilate its protein into your system. This extra expenditure of energy also supports weight loss and muscle development. Aloe Vera reduces the amount of time food stays in your intestine, which means that less energy is absorbed from the food. You can find more information here. Aloe vera juice contains nineteen amino acids, twenty minerals and twelve vitamins and as such is an excellent, natural nutritional supplement. You don't have to peel the lemon, but make sure you peel the orange. The orange's skin is very bitter and can ruin the flavor. Run all ingredients through juicer except for the spinach, then blend the juice with the spinach to finish it off and enjoy. There are lot of yummy and nutritious food items one can make from instant formula powder. This post highlights one such yummy recipe of a dessert. Take all the ingredients together in a big bowl. Mix them with a blender until sugar dissolves completely. Pour the mixture in freezer safe container. Cover it and freeze it till it is semi set. Take it out and churn this with a blender till all the ice crystals break down. Transfer it again to freezer safe container and freeze till it is firm. Scoop and serve with strawberry or any other sauce of your own choice. We will start by placing eggs in the beef and mix and combine them well. Then add chopped onion and bell pepper and continue to mix it. Then mix garlic with the beef . Now add a pinch of salt and pepper and mix it well. Now transfer this mixture in loaf tray. Then for topping Sauce mix tomatoes sauce with soy sauce and dash of garlic powder. 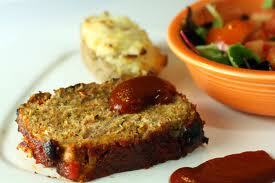 After 30 minutes take out your loaf and again spread topping sauce and give your tray a little swirl. Now bake this again for 30 minutes. After 30 minute just check by cutting little slice with knife whether the loaf is cook. If the beef is brown in color your loaf is ready to eat. Serve this hot with side dish of your own choice. Clean chicken properly and keep aside for dry (There should be no moisture in the chicken. Give some cuts on the chicken. Now for first marination, take red chilly powder and salt in bowl and squeeze lime in the bowl. Put This marination on the cuts of the chicken and keep aside for 1/2 an hour. Next we will prepare second marination and for that take hung curd and garlic paste in a bowl add all the dry ingredients in the curd a. If there is any leftover from first marination add that to second marination. Add 1 tbsp oil over chicken and mix it well. Preheat oven on 400-450 feranight. Put this chicken in oven for half an hour on same temperature, turn upside down after twenty minutes. 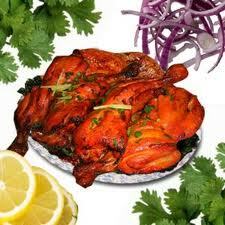 Now take out chicken from oven Garnish with coriander and lemon slices sprinkle some chat masala. Take butter and sugar in big bowl and whisk them together. Whisk it till mixture turns into light, fluffy and pale in color. Now add soak raisins and rum and stir them with light hand. Then put crushed walnuts and stir again with spatula. Now take small amount of mixture and roll it in your hand, give this a ball shape. Now coat this well in grated chocolate and place this in a plate. Put this in fridge for 30 minute. 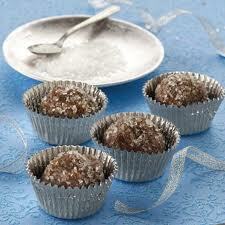 Now take out the plate and dust some icing sugar over the ball with tea strainer. Your chocolate balls are ready to eat. Wash and clean Sarso and spinach leaves in running water. Boil these leaves in boiling water in open pan and keep aside for cooling. Now make a puree of boiled leaves and green chillies in a blender. For tempering heat ghee in pan. Add asafoetida and onion to the pan.Saute this for 1-2 minutes. Add ginger garlic paste and red chilly powder and again saute this for 2-3 minutes. Now put maize flour and saute this for 1-2 minutes. Then put sarso puree in the pan and mix it well. Now add salt and cook this on low flame till water evaporates from the pan. But keep stirring the saag after every2-3 minutes. 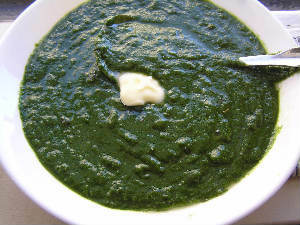 Now your saag is ready. Garnish this with white butter or 1 tbsp of ghee. Add ravioli in boiling water and boil them for 10-15 minutes. Saute mince garlic in the oil for 1-2 minutes. 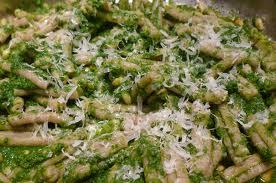 Then add pesto and mix it well. Put cream in the sauce and mix it. Now put freshly boiled ravioli in the sauce. Mix this with a light hand since raviolis are tender and soft. Put ravioli in a nice platter and garnish this with fresh basil and Parmesan. Nead the dough for 10-12 minutes. Then refrigerate this for 1/2 an hour. Now cut the dough in small pieces and make flat and thin pasta sheets with in pasta machine. If u don't have pasta machine you can make the sheets with rolling pin but try to make them as thin as possible. You can use any kind of filling and any kind of shape in making ravioli. Watch my next blog for some wonderful ravioli sauce and filings. Clean and wash the prawns. Heat oil in wok for deep frying. Add all the ingredients except prawn in a bowl. Make a thick paste of all the ingredients by adding little water. 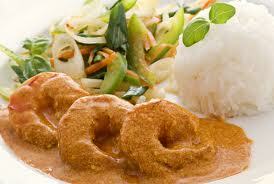 Now marinate prawn in this paste for 1-2 hour. Now again deep fry them till they crispy and golden. Soak red chillies and cumin in vinegar and Luke warm water. Then in a blender add red chillies( with vinegar), cumin, grated coconut, mustard seeds and chopped tomatoes. Then add 3-4 shrimps in the blender and blend it again. Heat oil in pan and add gram masala into it. Then add finely chopped onion into the pan. Saute them for 2-3 minutes. Add turmeric powder and ginger garlic paste and saute this again for 2-3 minutes. Then add blender mixture into the pan. put coriander powder, salt and gram masala. Saute this on medium flame till oil separate from the mixture. Now the gravy is pretty much ready. Add shrimp into the gravy and cook this for 7-8 minutes. Serve this hot with rice or bread of your own choice.